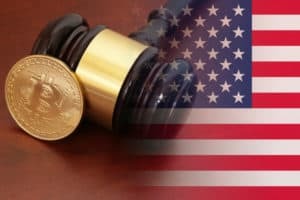 Cryptocurrency regulation is evolving, and gradually things are becoming clearer. Recently, the Chairman of the US Securities and Exchange Commission stated that a digital coin which used to be a security might be treated as a commodity if it becomes “sufficiently” decentralized. Before we dive into this, let’s understand the timeline and developments as they happened. Regulators all over the world are having a hard time regulating the cryptocurrency sector. Technological disruption and innovation in blockchain are outpacing governments and regulatory bodies like Central Banks or Market Regulators. The Cart is surely getting ahead of the bullock. Some nations are in favor of cryptocurrencies and on the other hand, some have strictly banned them. In such a confusing scenario, it is natural to look at the stance of the US regulators and policymakers who represent the biggest and most powerful economy in the world. Let us understand a few terms before proceeding. How are Tokens Categorized and What are ICOs? Well, there are three types of tokens. Some ICOs helped to launch a new digital currency. For example, with the Ethereum ICO, investors put up Bitcoin and received “Ether” in return, which is another cryptocurrency. Some tokens have a functional utility attached to it in anticipation of a product that the developers of that project are creating or have created. For example, Filecoin establishes a decentralized storage network by trying to tap vast unused storage space on computers worldwide. Finally, there are investment tokens which are considered as assets with future cash flows. These ICOs are carried out without the involvement of traditional players like investment banks in an entirely online-mediated environment. Some prominent examples of ICOs in the recent past include Telegram, Dragon, and Huobi. But as the report suggests, there are many tokens which can be called “hybrid tokens.” Such tokens comprise elements of two or all three of the archetypes. Tokens can be designed in a variety of ways which makes them hard to categorize whether they are securities or not. In April 2018, Gary Gensler, the former chairman of the Commodity Futures Trading Commission, asked the SEC and regulators to bring more clarity. According to him, if someone is buying XRP or Ether, they are essentially buying a security since there’s an investment of money in a common enterprise, with expectations of profits from the entrepreneurial efforts of the third party. So these coins meet Howey’s test. The common enterprise for XRP being Ripple labs and for Ether, it is the Ethereum foundation. However, Coincentre.org a leading non-profit research center and industry advocacy group which focuses on policy issues on cryptocurrency and blockchain also stated that Ether is not a security. In short, when there is no discernable third party (common enterprise) upon whom it is expected to earn profits, the tokens can’t be classified as securities. Then William Henman in June 2018, the director of Corporate Finance, U.S. Securities and Exchange Commission hammered home the same point that digital assets which could have been sold as a security might not remain a security after network behind it is “sufficiently” decentralized. “The answer to this question is both ‘Yes’ and ‘No’ depending upon the circumstances. So according to him, when a digital asset is “sufficiently” decentralized where no single group would be expected to make an entrepreneurial effort, the asset may not represent an investment contract. After this development, Congressman from North Carolina Ted Budd sent a letter to the SEC Chairman Jay Clayton in September 2018 asking him to clarify whether the SEC agrees with Mr. Hinman’s views? Here’s how the Chairman responded to the questions raised by the Representative. Point to be noted here is that Mr. Clayton didn’t categorically specify Ether in his letter. While on the other side of the Atlantic, Jay Clayton’s counterpart in Europe, Steven Maijoor, who chairs the European Securities and Markets Authority stated that he seeks further regulation of crypto-assets. ESMA and other European regulators are in favor of the creation of a bespoke regime for crypto assets. According to Maijoor, a one-size-fits-all approach will never work within the crypto-space where new innovations are disrupting existing technologies. He was speaking at Fintech conference in Brussels, Belgium. All in all, these statements from the SEC and ESMA are a welcome development. But still, much more clarity is required. Regulators need to make fair rules so as to foster responsible innovation while protecting main street investors. The world is changing. Society is changing. The future of wealth is mobile and decentralized. As the world embraces the industrial revolution 4.0, regulators need to put themselves before the cart and provide forward guidance to the public on the cryptocurrency and blockchain space and remove any hindrances which may stifle much-needed innovation to make the world a better place to live. SEC Chair Jay Clayton Provides Additional Clarity on the Status of Cryptos was originally found on Cryptocurrency News | Blockchain News | Bitcoin News | blokt.com. Previous Previous post: What are Atomic Swaps and How Do They Empower Peer-to-Peer (P2P) Trading?